Jerry from Maryland – Is the new USA Baseball Bat Rule in full effect for the 2018 season? Little League – For 2018, the Tee Ball through Junior divisions of Little League Baseball® and the Little League Challenger Division® are to be operating using the USA Baseball Bat Standard. Tee Ball bats are to be affixed with an identifiable USABat sticker to illustrate “approved” status and used with approved Tee Balls, while Little League® rule 1.10 was recently updated to address the use of BBCOR bats. The revision states that in Little League’s Intermediate 50/70 and Junior Baseball divisions, BBCOR bats will be permitted during the regular season and Little League International Tournament. All non-wood bats used in the Senior Division must meet the BBCOR standard. More information on the new bat standard can be found at: LittleLeague.org/BatInfo. M’Lynn from Louisiana – With our Little League® asking volunteers to do their own electronic background checks using JDP, how does a league know if someone is who they say they are? Little League – The J.D. Palatine (JDP) background check system allows local or district board members responsible for conducting background checks to send an electronic link to individual volunteers in order to complete the Little League Volunteer Application online. A league board member can enter the volunteer’s information, name, and email address on the JDP website by using the “Quick App” navigation. The Quick App allows the league volunteer to personally and securely complete the volunteer application, including the social security number. The Little League Volunteer Application is tied with the background check and can be viewed on the league’s JDP Portal. Volunteers will receive an email from JDP that will have both the JDP and Little League logos and a link to where the volunteer must complete the online background check form. Leagues must still verify the volunteer’s application with a government-issued photo ID. Cleveland from Florida – I am confused about what a Little League® waiver is, please explain? 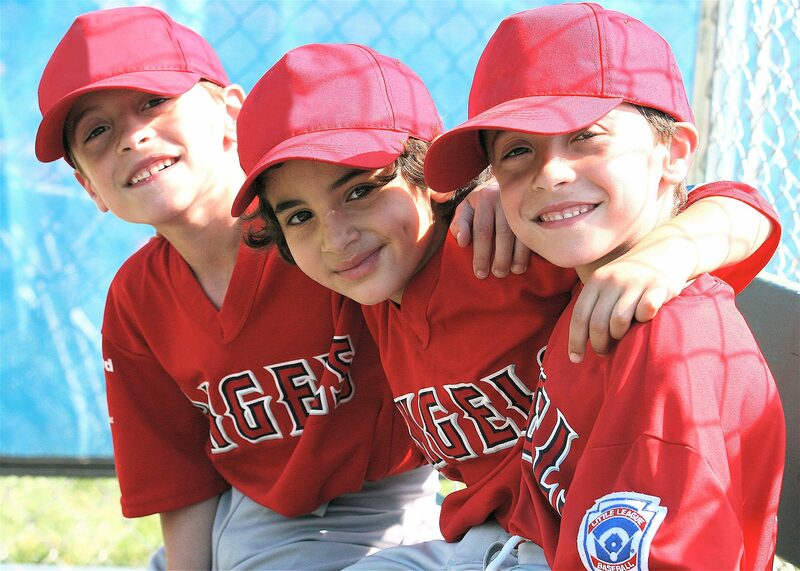 Little League – Based on situation or circumstance, a local league has the ability to ask for a waiver of any Little League® rule ore regulation. The waiver process is straight-forward. The league outlines a waiver request (asks for permission to alter, or not adhere, to a rule or regulation) and submits it to the volunteer District Administrator (D.A.) for review. The D.A. communicates the request to the respective regional center along with his or her recommendation. If the Regional Director does not have the purview to rule on the waiver request, it is forwarded to the Little League International Charter Committee in Williamsport, Pa., for action. Recently, two Little League policies were established to formalize waiver processes to expand inclusion and opportunity One policy for players who need a waiver of a rule based on a disability as well as outlining the process to ensure players can participate in the Little League program based on their gender identity. Maddie from Ohio – My daughter has played softball for the past four seasons and she is now 12 and playing her final season in our league’s Major Division. I thought it would be great to take her to a college softball game so she can experience what it’s like to play as she gets older. Does Little League have a program where college teams host local Little Leagues? Little League – Little League Softball® days sound like what you are looking for. Each year, the Little League Softball program coordinates with colleges throughout the United States to host specials days that are designed to showcase softball to the next generation of collegiate players. Typically, each college or university that puts on one of these special events, invites players, teams, and leagues to enjoy a game, meet the players and tour the facility. Check out the list of Softball Days to see if there is one planned near you. Kim from Pennsylvania – I’ve been a Little League mom for eight years, ever since my twins (son and daughter) started playing Tee Ball. We’ve had a great experience and they want to continue playing Little League, but they aged out of the Major Division and our league does not have enough players for a Junior Division team. Does Little League have any options for my children to keep playing? Little League – There are plenty of options for children to continue to play in the Little League program. If your league does not have enough players to form a team at any level of play, then you may be able to use Little League’s Combined Teams option, where one league can merge players from another chartered Little League, and enter into an Interleague Play arrangement. Please reach out to your League President or District Administrator who can help facilitate the either the Combined Team or Interleague Play process.